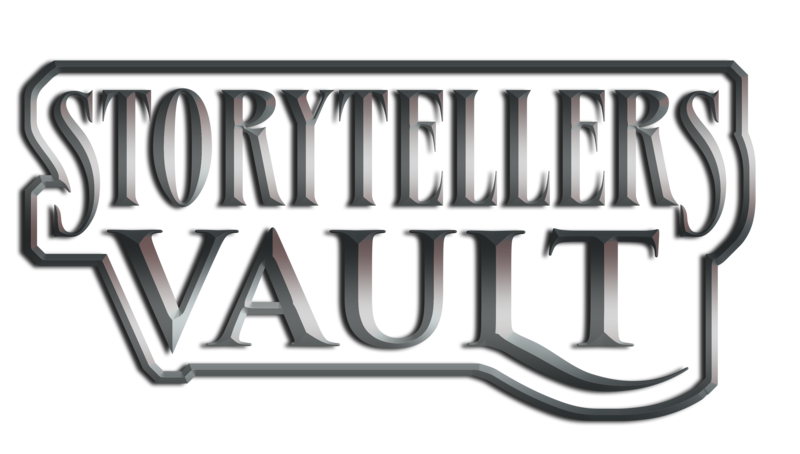 The Storytellers Vault program is not an Open Game License. Content creators are given permission to use the Storyteller System and other White Wolf rules systems for White Wolf owned properties only as they become available on the Storytellers Vault. Content Creator are allowed to make custom rules systems for White Wolf properties, but products created in this manner must be clearly labeled as such at the beginning of each product. Content creators are not allowed to use White Wolf proprietary game systems for original content unless they have a license to do so from White Wolf which requires a separate agreement. publish crossover content for any game line in the same brand IP? publish “what if” products that change official canon? Eg: What if Tremere failed to kill Saluot? Does White Wolf own the content that I create in my Storytellers Vault publications? Content creators are not allowed to create new IPs under the Storytellers Vault program, rather every piece of content created uses the White Wolf IP. That said, if your work merits incorporation into canon, White Wolf will contact you. The Storytellers Vault agreement will grant other Storytellers Vault authors a license to use your original content at any time from its publication date. What do I include in the legal text within my Storytellers Vault title? If I use content from other Storytellers Vault authors, do I need to credit them? When re-using a larger element that you have taken from another Storytellers Vault author’s work, include a reference to the original work as a link to it on StorytellersVault.com within your PDF. For example, if you use a new Bloodline called the Shadow Weavers that you found in another author’s work, you should reference that inside your own work using an internal citation such as "Shadow Weavers from Blood Ravens by The Dark Lord". Create, don’t copy. White Wolf reserves the right to stop publishing and selling your work if it is deemed to go against the spirit of the Storytellers Vault program. All authors should respectfully use the content originally created by White Wolf or other Storytellers Vault creators. For example, if a Storytellers Vault author releases a series of city By Night supplements all set in the same geographic area, and another author takes those supplements, compiles them, and republishes them as a single collection, without substantive original additions or changes, then we would stop publishing and selling that collected work because it adds no value to the Storytellers Vault community content. This type of behavior will be dealt with harshly, and risks the infringer being permanently expelled from the Storytellers Vault program. White Wolf reserves the right to remove published content from public availably and review any piece of Storytellers Vault content at any time for any reason. Content creators who have had titles removed from public view in this fashion will be notified about it in as timely a manner as possible.